I love dogs, especially greyhounds. Caring for them has been my passion for more than three decades. I am motivated to help these dogs by collaborating with people who share the passion, the love of greyhounds, and a belief that each dog deserves a quality home. My thoughts and feelings about greyhound racing may surprise you. You might assume that I despise all people who are “pro-racing.” I don’t. I’ve collaborated with dozens of racing greyhound owners, breeders, kennel operators, track workers, dog haulers and countless adoption organizations. I have yet to encounter anyone who got into the business of greyhound racing with deliberate intention to cause suffering to the dogs. What I have encountered, however, is a collective culture within greyhound racing to accept and normalize the cruel circumstances in which racing dogs live and die. Fortunately, public opinion is now turning against the cruelty of betting on the dogs. People who want to gamble have many places from which to choose, and most choose not to frequent dog tracks. I know for a fact that the greyhound-racing industry within the Western world is in rapid decline. 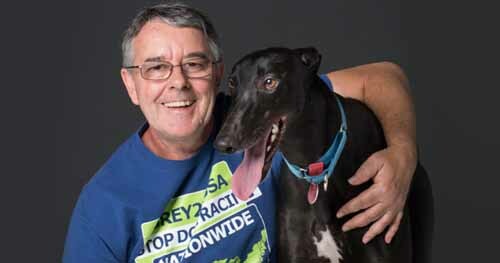 This is largely due to so many motivated dog lovers who are stepping into the political effort to end greyhound racing, as well as to discourage new dog racing in developing nations, and both these efforts are being spearheaded by the amazing, hard-working people at GREY2K USA Worldwide. Which is the reason I recently joined the board of directors of GREY2K USA Worldwide. 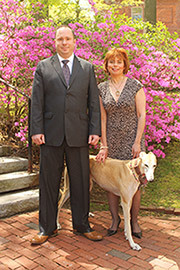 I am also still serving on the board of Greyhound Adoption Center. While this is a personal collaboration between me and GREY2K USA Worldwide, I remain 100% dedicated to GAC and will always be mindful to avoid conflicts of interest. There’s an old saying attributed to Alfred Einstein that goes, “The definition of insanity is doing the same thing over and over again, but expecting different results.” It’s a saying that should be put on a big banner and hung in the Kansas legislature because lawmakers there are considering bringing greyhound racing back to the state. House Bill 2545 would use casino gambling profits to subsidize greyhound racing. The fact that the legislature knows greyhound racing will need to be subsidized to survive should send up red flags. Why would they want to bring back an industry they know can’t make it on its own? Surely some of the legislators must remember Kansas’ previous experience. Greyhound racing started there in 1989 with two tracks, Wichita Greyhound Park and The Woodlands. A third track, Camptown Greyhound Park, opened in 1995, but went out of business in only six months. Things weren’t much better for the other tracks and by the time they closed in 2008 revenue from greyhound racing had shrunk 95% from when they started. Hence the need to prop up racing with subsidies. But the reality is that subsidies don’t work. They have failed in every other state that has tried them. Every. One. In Rhode Island the Twin River Casino complained that racing cost them $9 million in annual subsidies, but only brought in $1.75 million. They ended racing in 2009. In Iowa the casinos subsidized racing to the tune of $14 million a year while betting at the two tracks combined had shrunk to just $5.9 million by 2012. The Iowa legislature allowed the casinos to walk away from racing in 2014. In West Virginia betting has declined 55% over a ten year period forcing lawmakers to make up the difference with annual handouts. Betting there is still trending down putting more pressure on the state’s breeding and purse fund accounts to carry the weight of a failing business. A bill has been introduced to sever this arrangement moving forward. In Arkansas the legislature mandated a giveaway for the one track, Southland, in 2006. Since that time betting has dropped from a high of $212 million in 1989 to a little over $18 million by 2013 in spite of this arrangement. In Florida, the largest racing state, the situation is no different. One track in Miami loses $5 million a year because the owner is forced to have racing. In all, Florida tracks lose over $30 million on live racing each year. 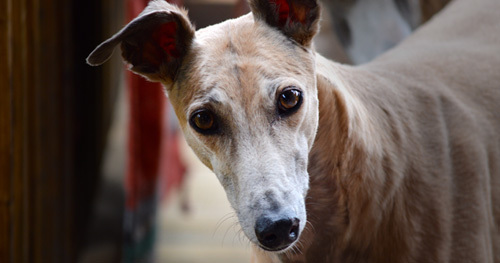 Greyhound racing is even worse than dead, and yet the Kansas Legislature is considering bringing it back to the state. How many different ways does an idea have to present itself as bad before legislators see it for what it is? How many other times does it have to fail before someone says, that probably won’t work here either. It shouldn’t take an Einstein to answer those questions.